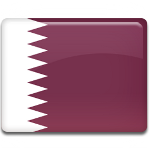 National Day in Qatar, also known as Founder's Day, is celebrated on December 18. This public holiday marks the day Jassim bin Mohammed Al Thani took power as emir of the Qatari Peninsula. This day is considered to be the day of the inception of the modern State of Qatar. 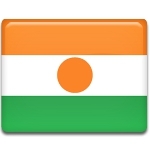 Republic Day is one of the public holidays in the Republic of Niger. It is celebrated on December 18. This national holiday marks the founding of the republic and creation of the presidency in 1958. 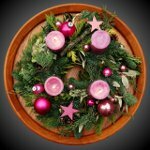 The last Sunday before Christmas is known as the fourth Sunday of Advent. This Sunday finishes the four-week period before Christmas, and many families observe special traditions on this day. 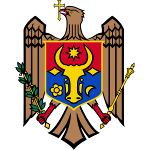 Police Day is an official professional holiday in Moldova celebrated on December 18. This date was chosen to commemorate the Law “On Police” adopted on December 18, 1990. The law defines the role of the police in the system of the state bodies and determines its main tasks. 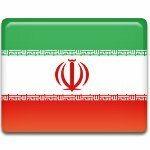 University Unity Day in Iran is an annual observance celebrated on the 28th of Azar in the Solar Hijri calendar, which corresponds to December 18 in the Gregorian calendar. It celebrates the unity of the country’s religious and secular higher education institutions. The National Roast Suckling Pig Day is a food-related holiday observed on December 18. 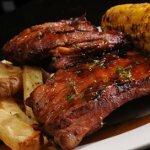 It is a perfect occasion to cook a fancy meal for your family or friends. International Migrants Day is an annual United Nations observance held on December 18. 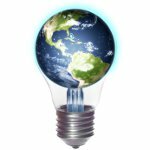 It was officially proclaimed by the UN General Assembly in 2000 in order to raise awareness of the human rights and political freedoms of migrants. 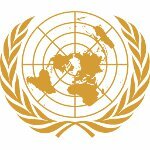 In 2010, UNESCO established special days dedicated to the official languages of the United Nations in order to celebrate multilingualism and cultural diversity. 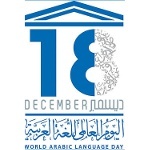 UN Arabic Language Day is celebrated on December 18. 2011 Died: Václav Havel, Czeck writer, philosopher, dissident, and statesman. He served as the tenth president of Czechoslovakia and as the first president of the Czech Republic. 2006 The first of a series of floods hit the states of Johor, Malacca, Pahang and Negeri Sembilan in Malaysia. The floods were caused by above average rainfall. 2006 Died: Joseph Barbera, American animator, cartoon artist, storyboard artist, director, and producer best known for co-founding Hanna-Barbera with William Hanna. 2005 The Chadian Civil War between Chadian government forces and several Chadian rebel groups. It ended five years later, resulting in Chadian government victory. 1995 Died: Konrad Zuse, German civil engineer, inventor, and computer pioneer. He is primarily remembered for designing the electromechanical computer Z3 in 1941. 1993 Died: Samuel Wanamaker (born Samuel Watenmaker), American and later British actor and director. He contributed to the modern recreation of Shakespeare's Globe Theatre. 1992 Died: Mark Goodson, American television producer who specialized in game shows. Goodson's best known shows include Family Feud and The Price Is Right. 1987 American computer programmer Larry Wall released the first version of the Perl programming language, a general-purpose Unix scripting language to make report processing easier. 1982 Died: Hans-Ulrich Rudel, German colonel and pilot. During World War II, he was a Stuka dive-bomber pilot. He is the most highly decorated German serviceman of the war. 1980 Born: Christina Aguilera, American singer, songwriter, and actress. She rose to prominence in 1999 with her first album that debuted at No. 1 on the Billboard 200. 1978 Born: Katie Holmes, American actress and model who rose to prominence with her role as Joey Potter on the television series Dawson's Creek that premiered in 1998. 1975 Born: Sia Furler, known professionally as Sia, Australian singer, songwriter, record producer, and music video director. One of her best known songs is Chandelier. 1963 Born: Brad Pitt, American actor and producer. His best known films include Interview with the Vampire, 12 Monkeys, Fight Club, Troy, Mr. & Mrs. Smith, 12 Years as Slave and others. 1958 Project SCORE (Signal Communications by Orbiting Relay Equipment), the world’s first communications satellite, was launched from Cape Canaveral LC-11. 1946 Born: Steven Spielberg, American filmmaker regarded as one of the most popular and influential directors and producers in the history of cinema. His career spans over four decades. 1943 Born: Keith Richards, English musician, singer, songwriter, record producer, and actor. He is best known was one of the original members of the rock band The Rolling Stones. 1940 Adolph Hitler issued Directive No. 21, which which called for a new battle plan, now codenamed "Operation Barbarossa". The plan was to invade the Soviet Union. 1939 The Battle of the Heligoland Bight took place during the Second World War. It was the first "named" battle of the war, which began the Defense of the Reich campaign. 1939 Born: Harold E. Varmus, American cell biologist who was awarded the 1989 Nobel Prize in Physiology or Medicine for the discovery of the cellular origin of retroviral oncogenes. 1938 Born: Michael Moorcock, English novelist, comics writer, editor, and musician. He is best known for his science fiction and fantasy novels and has received great recognition. 1892 Premiere performance of Pyotr Tchaikovsky's ballet The Nutcracker took place at the Mariinsky Theatre in Saint Petersburg. It was choreographed by Marius Petipa and Lev Ivanov. 1892 Died: Richard Owen, English biologist, comparative anatomist, and paleontologist. He is probably best remembered for formally naming the taxon Dinosauria in 1842. 1867 The Angola Horror train wreck occurred in Angola, New York. The last coach of the New York Express of the Lake Shore Railway derailed and caught fire, killing 49 people. 1865 The adoption of the Thirteenth Amendment to the United States Constitution was proclaimed by the Secretary of State. The amendment abolished slavery and involuntary servitude. 1863 Born: Archduke Franz Ferdinand of Austria, heir presumptive to the Austro-Hungarian throne. His assassination in Sarajevo in 1914 led directly to the First World War. 1856 Born: J. J. Thomson, English physicist whop was awarded the 1906 Nobel Prize in Physics for his theoretical and experimental investigations on the conduction of electricity by gases. 1848 Died: Bernard Bolzano, Bohemian mathematician, logician, philosopher, and theologian. He is primarily remembered for his several original contributions to mathematics. 1829 Died: Jean-Baptiste Lamarck, French naturalist best known for his contribution to evolutionary theory. He developed the first truly cohesive theory of evolution (Lamarckism). 1737 Died: Antonio Stradivari, Italian luthier and maker of string instruments such as violins, violas, guitars, cellos, and harps. He is generally regarded as the greatest artisan in this field. 1655 The Whitehall Conference convened by Oliver Cromwell ended. The conference clarified that resettlement of Jewish population in England was legally permissible.